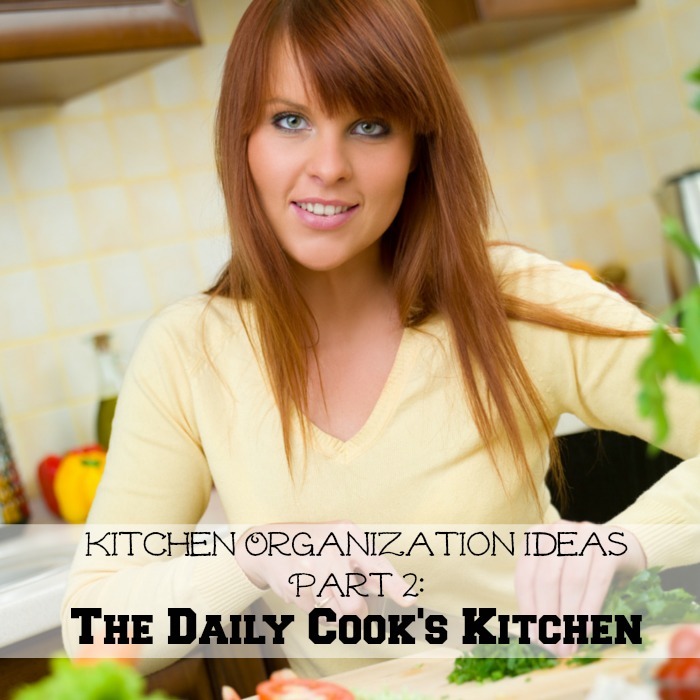 It’s Part 3 of my Kitchen Organization Ideas series and today we’re talking about some fantastic products a daily cook might want to consider having in their kitchen. From organizing products to gadgets that help save time, the Daily Cook’s kitchen needs to be efficient – and these items help. Baskets are great for open kitchen shelves, pantries and refrigerators. They look nice and can keep your items organized. 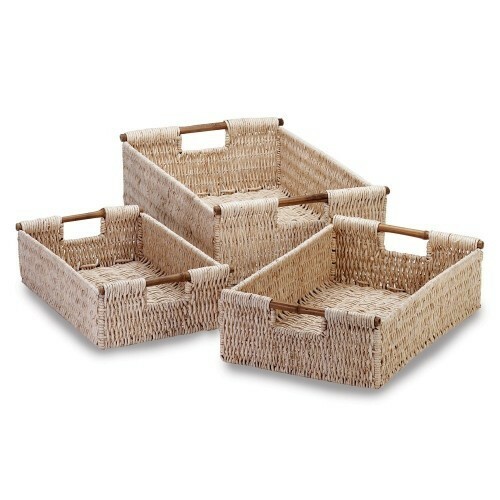 I use baskets in every room of my home. Call me slightly obsessed – it’s okay. I like the way they look and how they keep things categorized. In the kitchen, I use them in my pantry. I have a basket for potatoes, onions, snacks, baking supplies, household items like saran wrap and foil. It makes it easy for everyone to find what they’re looking for and put things back. I also have a basket in our refrigerator that I use for snacks for the kids. It’s a plastic basket and in it I have cheese sticks, yogurt, fruit and applesauce. It makes it easy for them to find something to eat, which helps me out a lot! A utensil holder is perfect for the daily cook. 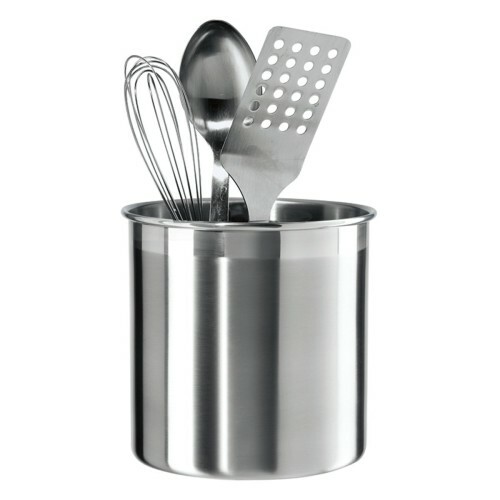 It keeps your favorite and most used utensils right there where you need them most. Mine holds spatulas, whisks and wooden spoons. I keep it by the stove so when I’m cooking, I can easily grab what I need, instead of digging through a drawer. 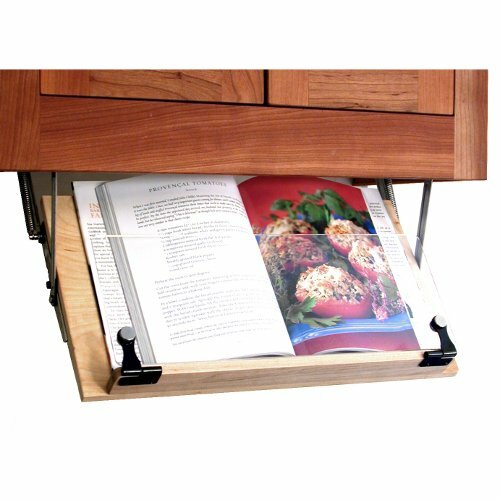 An under the cabinet cookbook holder is such a great idea and something I haven’t installed in our current kitchen – but I want one! From time to time I pull up my recipes digitally, but I have several cookbooks I love and cook from. Having your cookbook accessible, but out of the way and not using precious counter space, can be a huge time saver in the kitchen. 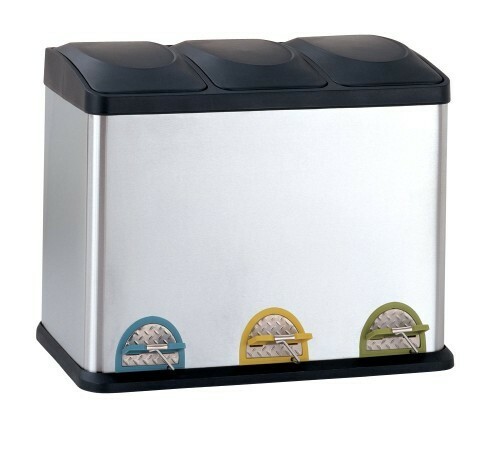 If you recycle and cook a lot, you know just how important a convenient place to store your recycling is. I have a plastic tub on the floor of the pantry where our recyclable items go and it just for us for now. I would eventually like to upgrade to something that divides the items up and looks nicer. 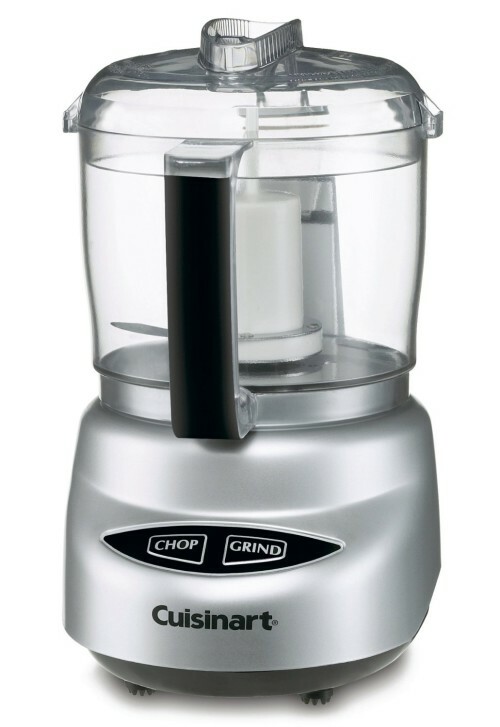 I love this stainless steel one because it not only looks great, but it has foot pedals for easy opening. A chalkboard for notes, grocery list and menu. Use the walls. Don’t forget those walls! Use racks, pegs, hooks or a magnetic strip to hang items on that you need daily. Use the ceiling! 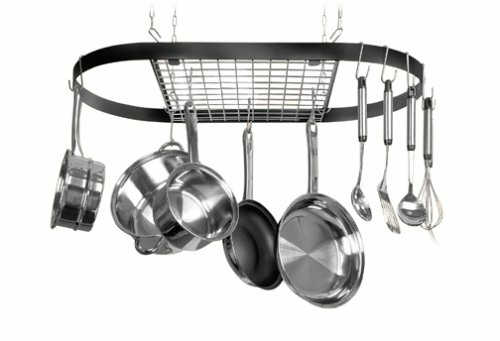 A ceiling-mounted utensil rack is a popular space saver. If you are a daily cook, keep those pots and pans where they are easy to get to. There’s no need to dig for them day in and day out. Install under cabinet lighting. You can get a battery powered one if you want something easy and immediate. It not only looks nice, but it helps to have a little extra light in the kitchen when you’re cooking. 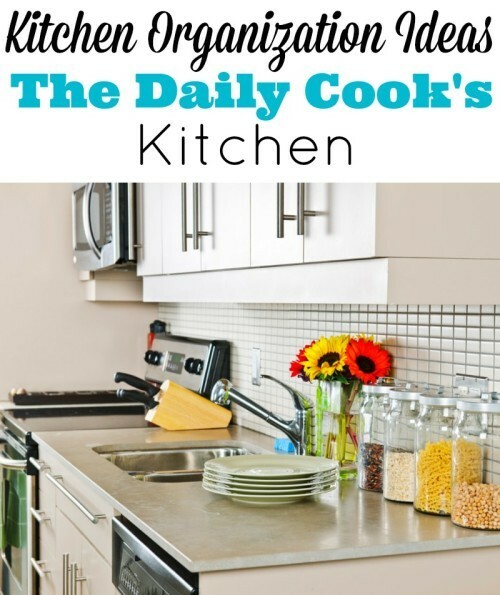 I hope these kitchen organization ideas for the daily cook helped you move one step closer to a more efficient kitchen. Do you have any must-have items for your kitchen? Let me know!